Report: A good drive and a lovely day saw us away from the old slip at Colintraive about 10.15. 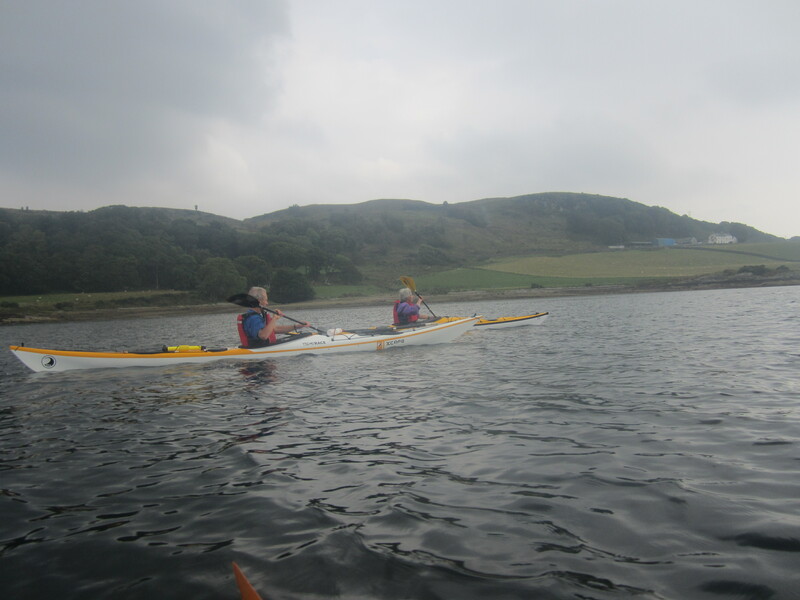 Flat calm at first but a light breeze picked up as we rounded the corner and slightly slowed progress. 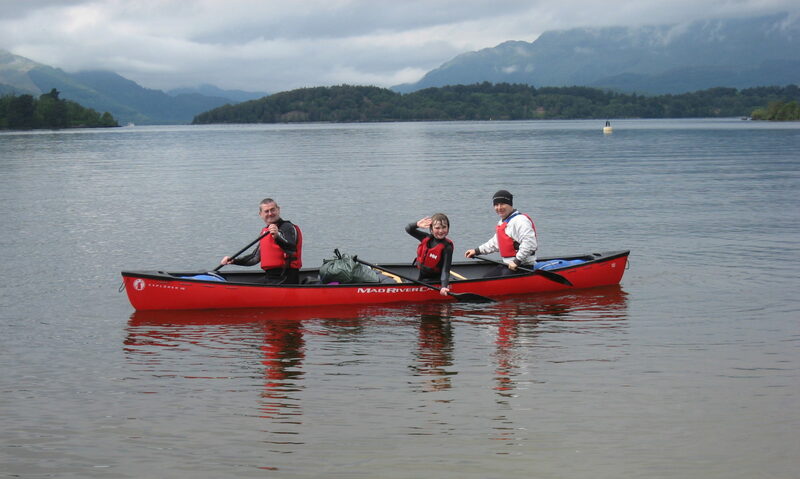 It had become clear the previous day that the original thought of getting to Ettrick Bay was simply too far and we opted instead to paddle down Bute to Ciste Point and then across to Kames and Tignabruich and up the west side. The weather and scenery were pleasant without being spectacular. Landing places down this coast are limited but we managed to find a small gravel beach for elevenses/early lunch. 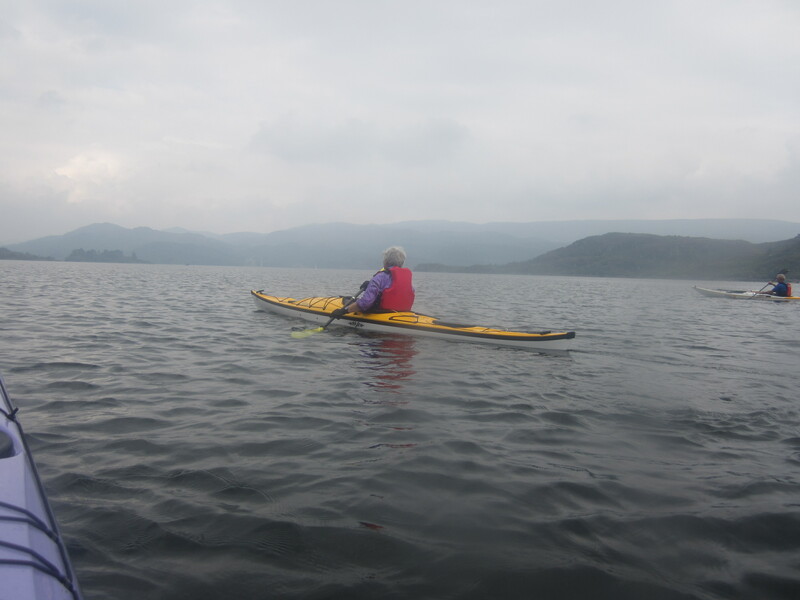 The crossing to Kames was uneventful as was the paddle to Tignabruich. The best landing place here, although not brilliant, is by the slip/toilet block. The Burnside Bistro here has nice outside tables and good food. Our third stop was Claddagh Harbour; worth a visit. 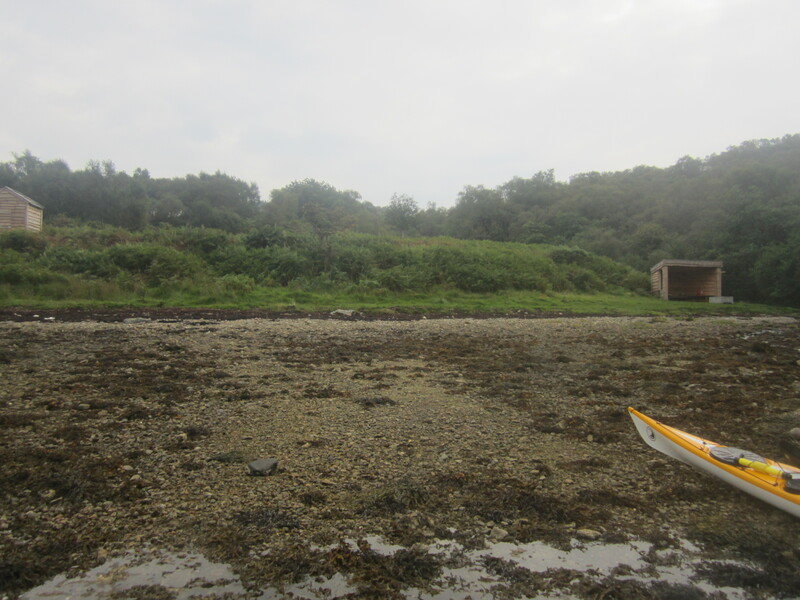 From there we headed straight back across to the new Sea Kayak Camp Site and Shelter opposite the Burnt Islands. The shelter and toilet were excellent but there was little/no camping areas. 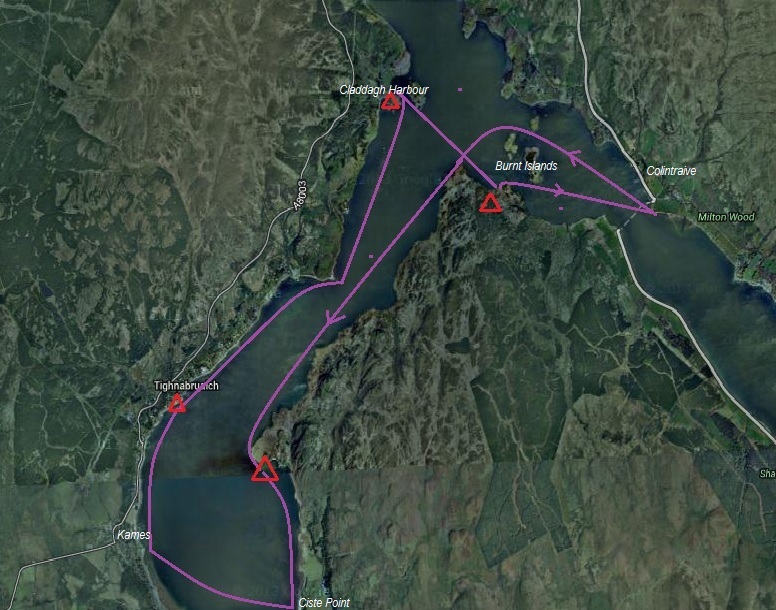 Presumably the intention is to carve out a grass area from the ferns but it is currently not recommended for an overnight stop.